You’re no damsel in distress! That knight in shining armor can ride up on his white horse, but you won’t need any of his help when you’re wearing a pair of Reebok Women's Black RB655 Trainex EH Internal Met Guard Composite Toe Boots. These 6 inch boots ar ... (see full details) (see specifications) #RBKRB655. You’re no damsel in distress! That knight in shining armor can ride up on his white horse, but you won’t need any of his help when you’re wearing a pair of Reebok Women's Black RB655 Trainex EH Internal Met Guard Composite Toe Boots. These 6 inch boots are strong and hardworking--just like you. With an ASTM F2413-05 rated composite toe, you can walk around the work floor with peace of mind knowing that your toes will be protected from crushing and falling objects. But what about the tops of your feet? Shouldn’t those be protected too? Absolutely! That’s why these Reebok safety toe boots have a flexible Flex-Met internal metatarsal guard to ensure the tops of your feet will be guarded with impact-resistance. You won’t have to question if the met-guards will be hard on your feet. They’re made to have some flexibility so you won’t feel like you’re carrying bricks on top of your feet when you wear these Reebok boots. 100% non-metallic, these women's met-guard boots won’t set any alarms off at work and they pass the airplane-friendly test. These Reebok Trainex boots are even rated for electrical hazards. Which means if you come in contact with live circuits, wires or highly charged electrical equipment, you’ll get a secondary source of protection from electrical shock because of the insulating properties that stop a current from being grounded for a certain length of time. Such foot protection is provided under dry conditions in these internal met guard boots. Now that we have the superior safety features covered, let’s move on to the comfort features of these non-metallic boots. Inside these Reebok met-guard boots you’ll find Tailex and Cabrelle lining. Both of these linings are designed for breathability, durability and moisture management. The insole is a removable EVA cushion insert that gives your feet a layer of incredible support and cushioning. The fact that it’s removable is a great way to keep the inside of your safety toe boots clean and fresh. They can be easily removed and cleaned when necessary. The EVA cushion insole has a rubber sponge heel wedge to absorb the impact of walking and standing on hard surface for many hours each day. There’s even an EVA cushion midsole to give your feet the cushioning of an athletic shoe. Moving to the outside, the durable Athlite traction rubber bottom with a 90-degree heel, makes getting around safer since you are less likely to trip wearing this type of heel. The dual density rubber outsole on these composite toe boots provides much needed traction to keep you safe on your feet and is slip-resistant as well. In addition, the outsole is oil-, heat-, abrasion- and chemical-resistant. You definitely won’t look like a damsel in distress when you wear these Reebok Black RB655 Trainex EH Internal Met Guard Composite Toe Women's Boots. The next time a knight in shining armor tries to come to your aid, offer him some help instead! If you liked the Converse C655 boots, then you will love these Reebok RB655 boots. I tried the Reebok RB655 and found them to run a little narrow for me. I have a wide foot. Also the insole cushioning was not sufficient for me. i have plantar fasciitis and my job requires me to be on my feet on concrete all day. Don't get me wrong for most without foot issues like me these boots would probably be perfectly fine. Nice looking boot. The internal met guard was comfortable and didn't rub as many do. 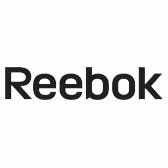 Reebok Boots: Women's RB655 Trainex EH Internal Met Guard Composite Toe Boots is being added to your cart.